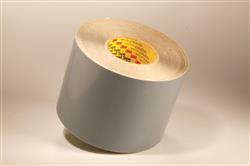 0.020 inch (0.51 mm) gray, double coated tape has a soft rubber adhesive on both sides of a vinyl carrier. Flexomount tapes are the industry standard for printing solid and line work. Very low caliper variation. High adhesion with clean removal. Jaco Aerospace and Industrial is your one stop resource for 0.020 inch (0.51 mm) gray, double coated tape has a soft rubber adhesive on both sides of a vinyl carrier. and all of your 3M Products, Tapes, aerospace and industrial needs.